Administrative Law Judge (ALJ) Susan Ruff, Office of Administrative Hearings (OAH), State of California, heard this matter on May 26 and 27, and June 1, 2, 3, 4 and 5, 2009, in Yucaipa, California. Ralph O. Lewis, Esq., represented Student and his parents (Student). Student’s mother was present during much of the hearing. Student was not present. Hans A. Gillinger, Esq., represented the Yucaipa-Calimesa Joint Unified School District (District). Patricia Metheny, Director of Student Services, also appeared on behalf of the District for most of the hearing. This is a consolidated case. The District filed its request for a due process hearing in OAH case number 2008100093 on October 1, 2008. Student filed his request for a due process hearing in OAH case number 2009010036 on January 2, 2009. On January 12, 2009, OAH granted the request to consolidate the two cases, and ordered that Student’s due process complaint would be the primary case for determining the appropriate timelines for hearing and deciding the case. On January 30, 2009, Student filed his First Amended Due Process Complaint. On March 11, 2009, OAH granted a request for a continuance of the hearing. Did the District’s July 14, 2008 Individualized Education Program (IEP) offer a free appropriate public education (FAPE) in the least restrictive environment (LRE) to Student? (e) A home ABA program for the 2008 – 2009 school year and ESY 2009? (4) Did Student’s parents provide Student with an appropriate placement in the area of speech and language and OT for the 2008 – 2009 school year and ESY 2009? 1 The parties’ closing briefs have been marked for identification for purposes of maintaining a clear administrative record. Student’s closing brief was marked as Exhibit 56 and the District’s closing brief was marked as Exhibit R-6. 2 The issues in the Prehearing Conference Order originally stated that the year in question was the 2007 – 2008 school year and ESY 2008, but the parties stipulated at hearing that those dates should be changed to the 2008 – 2009 school year and ESY 2009, whenever those dates appeared in an issue in the case. The two main issues for these consolidated cases involve the appropriateness of the classroom placement offered by the District in the July 14, 2008 IEP and whether the transition from Student’s home program to the school program called for in the IEP was sufficient to meet Student’s needs. The District contends that its offer of an autism focus special day class (SDC) was the LRE appropriate for Student to gain educational benefit. It also contends that the transition plan called for in the proposed IEP was sufficient to meet Student’s needs. Finally, it contends that it complied with all required procedures in developing the IEP. Student contends that the District’s offer to place Student full-time in the SDC was not appropriate and that the transition proposed in the IEP was not appropriate to accommodate Student’s needs. Student contends the District committed procedural violations in developing the July 2008 IEP by not having the necessary people at the meeting, by not permitting Student’s parents meaningful participation in the development of goals and determination of placement during the meeting, and by predetermining Student’s placement. Student also contends that the follow-up IEP proposals made by the District in October, November and December 2008 failed to offer Student a FAPE. The District disagrees and maintains that it offered Student a FAPE at all times during this case. Finally, Student contends that the District should reimburse his parents for money they spent for various IEEs paid for by them. The District contends that Student’s parents never contested the District’s assessment or sought reimbursement for the IEEs, and that the District adequately assessed Student in all areas of need. 3 Student originally also sought reimbursement for a physical therapy evaluation, but withdrew that request during the hearing. Student also clarified at hearing that Student was not challenging the District’s OT evaluation (which was already decided in a prior OAH case), but was simply seeking reimbursement for that IEE as part of equitable relief, should it be found that the District denied Student a FAPE. 1. Student is eight years old, and is eligible for special education and related services under the eligibility category of autism. The parties do not dispute that Student was a resident of the District at all relevant times in this matter, and do not dispute his eligibility for special education. 2. Student’s autism severely impacts his expressive and receptive language, as well as his pragmatic language and social skills. He has little or no vocal language. Even using pictures or a computer device to generate sounds, he has only a limited ability to communicate. His cognitive levels have never been determined through standardized testing, because he is unable to comprehend directions sufficiently to take the various tests. 3. This is the fourth special education due process proceeding between these two parties. In 2005, Student filed a request for a due process hearing before OAH in case number N2005070042, asking for a ruling from OAH that the District’s placement and services for Student’s preschool did not provide Student with a FAPE. The OAH decision found in Student’s favor and ordered the District to provide Student with a one-to-one home ABA program. On April 2, 2007, OAH issued a Clarification of Decision After Remand explaining the ALJ’s findings and once again determining that the District did not offer Student a FAPE. On September 26, 2007, the OAH decision was upheld by the United States District Court for the Central District of California – Eastern Division, in case number EDCV 06-00390-SGL (OPx). 4. On October 6, 2006, the District filed a request for a due process hearing before OAH in case number N2006100272, asking for a ruling as to whether the District’s OT assessment conducted in August 2006 was appropriate and whether Student’s parents were entitled to an IEE in the area of OT at public expense. OAH issued a decision on March 7, 2007, determining that the OT assessment was not appropriate and ordering the District to pay for an OT IEE for Student. 5. On September 17, 2007, the District filed a request for a due process hearing before OAH in case number N2007090402, asking for a ruling as to whether the District’s June 1, 2007 proposed IEP offered Student a FAPE. At the time of the 2007 IEP, the District was in the process of organizing an autism focus class but had not yet created the class. The OAH decision found that the autism focus class offered to the parents at the June 1, 2007 IEP meeting was significantly different from the class that was actually started in September 2007. That discrepancy affected the ability of Student’s parents to participate meaningfully in the IEP process. Therefore the procedural violation gave rise to a substantive denial of FAPE. Because the OAH decision found a procedural violation, there was no need for the ALJ hearing that case to evaluate the substantive appropriateness of the autism focus classroom to meet Student’s needs or to determine if Student could have gained educational benefit in that program. 6. For the relevant times of the instant case, Student has been receiving an inhome ABA program, but has not attended a public school. During the 2007-2008 school year, Student received home ABA services from a nonpublic agency (NPA) provider called B.E.S.T. Services Inc. (BEST). In approximately May or June 2008, BEST informed the District that it would no longer provide services for Student as of June 30, 2008. The District took steps to locate another provider, and shortly after July 15, 2008, the Lovaas Institute for Early Intervention (LIFE) began providing Student’s home ABA program. LIFE was still providing those services at the time of the hearing. 7. During the 2007-2008 school year, Student attended a general education class at Yucaipa Christian School in addition to his home ABA program. Since the start of the 2008-2009 school year, Student has not attended the Yucaipa Christian School or any other public or nonpublic school. Did the District’s July 14, 2008 Proposed IEP Offer Student a FAPE in the LRE? 8. The District brought its portion of these consolidated cases to seek a ruling on the appropriateness of its July 14, 2008 proposed IEP. Because the District filed this claim, the District has the burden to show that it offered a FAPE both procedurally and substantively. From a procedural point of view, the District must show that it complied with the various procedures for the development of an IEP set forth in federal and state laws and regulations. From a substantive point of view, the District must show that the proposed IEP met Student’s unique needs and was reasonably calculated to provide Student with meaningful educational benefit in the LRE appropriate for Student. 10. The development of the July 14, 2008 IEP offer began at an IEP meeting held on May 29, 2008. The meeting was not completed on that date, so it was continued on July 14, 2008. Student’s mother attended both the May 29 and July 14, 2008 meetings with her attorney. 4 To the extent that any other procedural requirements were discussed at hearing, the District provided evidence that it had complied with those requirements. For example, the District provided evidence that it properly offered Student’s mother a written copy of her procedural rights and safeguards at the start of the IEP meeting as required by section 1415 of title 20 of the United States Code. 11. In addition to Student’s mother and her counsel, the following individuals attended the May 29, 2008 IEP meeting: 1) Vicki Wood, a District special education teacher for the autism focus SDC that the District proposed for Student; 2) Patricia Metheny, Director of Student Services for the District, who attended as the District administrator and had knowledge of the resources and programs available in the District; 3) Linda Liles, Student’s general education teacher for the 2007-2008 school year at Yucaipa Christian School); 4) Richelle Solis, a District general education teacher; 5) Linda Switzer, a program specialist for the District; 6) Susanne Ferguson, a District speech-language pathologist; 7) Tracey Ravanzo, an occupational therapist from the East Valley Special Education Local Plan Area (SELPA); 8) School Psychologist Claudia Martinez; 9) representative(s) from BEST, the NPA provider of Student’s ABA services for the 2007-2008 school year; 10) an administrator from Yucaipa Christian School; 11) the principal from Chapman Heights Elementary School where the District’s autism focus class was located during the 2008-2009 school year; 12) representatives from the Inland Regional Center; and 13) the attorney for the District. 12. At the May 29, 2008 meeting, the IEP team members reviewed assessment reports. The District reviewed an IEE conducted by psychologist Robin Morris in October 2007. Morris did not attend the IEP meeting, and District school psychologist Claudia Martinez presented the report and reviewed it with the team. 13. Student’s mother provided input regarding Student’s OT services. After the March 7, 2007 OAH decision finding that the District’s August 2006 OT evaluation was not appropriate, the District drafted an assessment plan and requested permission from Student’s parents to conduct a new OT assessment of Student. Student’s parents refused to permit the District to conduct the OT assessment. Therefore, there was no new District OT assessment to review at the meeting. Student’s mother said she would provide an updated OT report. 14. The IEP team also received updated information from BEST, including a report delivered to the IEP team by BEST on the day of the meeting that was erroneously dated “February 2008” but was actually from May 2008. Representatives from BEST attended the meeting to discuss their report and Student’s progress. The team also received verbal input during the meeting from Student’s mother and the teacher at Yucaipa Christian School regarding Student’s abilities and progress. 15. Student’s mother informed the IEP team that Student was receiving private speech-language, physical therapy/gymnastics and OT services. The District asked her to bring reports from those private providers to the continuation IEP meeting. 16. The IEP team then developed present levels of performance for Student based on the information available at the time of the meeting. Student’s mother and her counsel participated in that discussion along with the other IEP team members. 17. The team was unable to complete the IEP meeting on May 29, 2008, so another meeting was held on July 14, 2008. The individuals who attended the July 14 meeting included: Vicki Wood (special education teacher), Patricia Metheny (District administrator), Richelle Solis (District general education teacher), Susanne Ferguson (speech-language pathologist), Linda Switzer (District Program Specialist), the principals for Chapman Heights Elementary School and Yucaipa Christian School, a first grade general education teacher from Yucaipa Christian School, representatives from the Inland Regional Center, Student’s mother and her attorney, and counsel for the District. Tracey Ravanzo (SELPA OT) participated by telephone during part of the meeting. 18. BEST was no longer providing ABA services to Student by July 2008, so no representatives from BEST attended the July 14, 2008 meeting. However, Scott Cross, Clinical Director, and Francisco Chavez, Site Director, for LIFE (Student’s new ABA home provider) attended the meeting. LIFE had not yet begun providing services for Student on the day of the meeting, but started shortly after the meeting. 19. During the July IEP meeting, Student’s mother provided the District with a copy of a recent progress report from Student’s private OT provider. Ravanzo was not physically present at the meeting to read the report, so the report was read to her over the telephone during the meeting, and Ravanzo provided input regarding the proposed OT goals and placement. Ravanzo had previously read a 2006 OT assessment report done by Anne Fleck of Russo, Fleck and Associates. 20. Student’s mother also provided the IEP team with speech-language reports she had obtained. Susanne Ferguson, the District’s speech-language pathologist, reviewed the speech-language reports with the team. 21. During the July meeting, the IEP team developed goals and objectives for Student. At the May meeting, the District personnel had distributed draft goals and objectives to help facilitate the process. Those were redistributed at the July meeting. To make certain that all IEP team members had a chance to participate in drafting the goals, as each goal was discussed during the meeting, it was projected on the wall using an overhead projector. One of the team members acted as a “scribe” at the projector and hand wrote the goals word for word as the team members contributed to them. The process took a long time, but was done to make sure that all team members (including Student’s mother) had a full opportunity to contribute to the drafting of the goals. 22. During the hearing Student’s mother testified that she did not develop any goals for her son at the meeting. However, she admitted that the team members asked her if she agreed with the goals. The very detailed IEP meeting notes and the testimony of the remaining witnesses confirm that Student’s mother provided information to assist the team with drafting the goals, asked the team questions regarding the proposed goals, and made recommendations for revisions to goals. Student’s mother may not feel as if she participated, but the evidence supports a finding that she did, in fact, participate in drafting the goals. 23. After the goals were developed, the team discussed possible placements for Student. Student’s mother testified that there was no discussion of any other class besides Wood’s autism focus class during the meeting, but the remainder of the evidence at the hearing indicated otherwise. Richelle Solis, the District general education teacher at the meeting, discussed what a general education first grade class would require and the first grade teacher from Yucaipa Christian School talked about the curriculum in her class. Vicki Wood described the District’s autism focus class and how it operates. The team discussed other types of SDC classes in the District besides the autism focus class. 24. Metheny asked Student’s mother for her input on placement. The attorney for Student’s mother discussed Student’s placement at Yucaipa Christian School in a general education combination kindergarten/first grade class. The District members of the IEP team believed that a placement in the District’s autism focus class would be the LRE in which Student would gain educational benefit. Ultimately, the District offered a placement in the autism focus class with a transition plan to gradually taper Student’s home ABA program over several weeks.5 The team also discussed designated instruction and services (DIS services) in the areas of OT and speech-language. The District members of the IEP team recommended a combination of direct, one-to-one services and consultation services for OT and speech-language. During the hearing, Student’s mother testified that she was not asked for any input on the transition plan, but the rest of the evidence indicates that her input was sought at every stage of the meeting. 25. The attorney for Student’s mother requested an opportunity to observe the proposed autism focus classroom. There was a discussion of further assessments, and the attorney requested an assessment in the area of assistive technology to see if Student would benefit from an augmentative communication device. 26. At the end of the meeting, the District staff stated that they would fax a copy of the finalized IEP offer to Student’s attorney. Student’s mother received a copy within a few days after the meeting. Student’s parents did not agree to the District’s offer. 27. The parties dispute whether the District was made aware of any aggressive behavior of Student during the May and July 2008 IEP meetings. Metheny testified that there were no reports of aggressive behavior at either the May or July IEP meetings. The various reports the District had at the time of the meeting did not indicate any aggressive behavior by Student which would interfere with his education. The evidence supports a finding that, as of July 14, 2008, the District had no notice of any aggressive behavior that would interfere with Student’s educational performance. To the contrary, at the time of the July 14, 2008 IEP, Student had been attending Yucaipa Christian School in a general education class without report of behavioral problems, so the District would have no reason to assume there would be behavioral problems in the smaller, more structured SDC offered by the District. 5 The District’s offer will be discussed in detail in connection with substantive FAPE issues below. Did the District Commit a Procedural Violation by Predetermining Student’s Placement or Failing to Allow the Parents to Participate in the IEP Process? 28. A parent is an important member of an IEP team and must have an opportunity for meaningful participation in the IEP process. If a District develops an IEP without parental participation or decides on a placement prior to an IEP meeting and then shows up at the meeting with a “take-it-or-leave-it” attitude, the District commits a procedural violation of special education law. 29. Student contends that the IEP team did not permit meaningful participation by Student’s parents in the development of the IEP goals. However, as stated in Factual Findings 9 – 27 above, the evidence shows that the District went to great lengths to ensure there would be full parental input, including using an overhead projector to show the team members each goal as it was drafted and revised. Student’s mother was asked for her input at every stage in the process. She asked many questions, made recommendations and suggestions, and was an active member of the team. There was no procedural violation. 30. The evidence also does not support a finding of predetermination of the placement offered in the IEP. The IEP team spent a long time considering Student’s present levels of performance and proposed goals. The team also considered several different placement options and gave Student’s parents opportunity for input about placement. Just because the District team members and Student’s parents ultimately disagreed as to the appropriate placement, does not mean that the District “predetermined” the placement. As will be discussed below, the evidence supports a finding that the District’s autism focus class is an appropriate placement for Student and is a far less restrictive environment than the home program sought by Student’s parents. There was no procedural violation. Did the District Have All the Required Individuals at the IEP Meeting? 31. As discussed in Legal Conclusion 7 below, the law mandates that an IEP team must consist of certain individuals, including the child’s parents, a special education teacher or special education provider for the child, a general education teacher (if the child may be participating in the general education program), a school administrator with familiarity with the school’s programs, and individuals capable of interpreting any assessments reviewed by the IEP team. The law also permits, in the discretion of the agency or the parent, other individuals who have knowledge or special expertise regarding the pupil to attend, including related services personnel, as appropriate. 32. The evidence supports a finding that the District had all the required individuals at the meeting. There was a school administrator who had familiarity with the District’s programs present at both meetings. There was a general education teacher for the classroom Student had actually attended at Yucaipa Christian School at the May meeting as well as a District general education teacher. At the July meeting, there was both a District general education teacher and a Yucaipa Christian School first grade teacher to discuss their classes and help determine the LRE appropriate for Student. 33. There were several special education teachers/providers at the meetings. At the May meeting, there were representatives from the NPA ABA provider (BEST) who had been providing special education services to Student as well as a District special education teacher. At the July meeting, there were representatives from the new home ABA provider (LIFE) in attendance as well as the District special education teacher for the proposed autism focus class that the team was considering for Student. 34. Student’s mother and her attorney attended both meetings, and a school psychologist attended the May meeting to discuss the psychoeducational assessment. The team also included representatives from the Inland Regional Center. 35. In his written closing argument, Student contended that the District committed a procedural violation by not having a representative from BEST at the July meeting. Student is mistaken in that contention. The law does not require that every special education provider of a child attend the meeting, just one special education teacher or provider. There is no question that a special education teacher attended both the May and July meetings. 36. Because BEST was Student’s special education ABA home provider, a representative from BEST could have attended the IEP meeting in the capacity of a special education teacher/provider. In fact, a representative from BEST did attend the May meeting, provided information to the team and participated in drafting Student’s present levels of performance. By the time the meeting convened again in July, LIFE had replaced BEST as the home ABA provider. Representatives from LIFE were present at the July meeting to provide information, assist with drafting goals, and discuss of the proper placement for Student. There was no procedural violation. 37. Student’s written closing argument also contended that the District failed to have an OT present for the entire July meeting. While it is true that Ravanzo participated in part of the meeting by telephone, but not the whole meeting, there was no procedural violation. Although an OT is a related service provider who may attend a meeting, there is no mandatory requirement for attendance. To the extent that an OT was needed at the July meeting to interpret the instructional implications of assessment results related to OT, Ravanzo participated by telephone and the parent-obtained OT report was read aloud to her for her input. She also participated in the drafting of OT goals and provided input when the offer for OT services was made. There was no procedural violation. 38. During the hearing (but not in the written closing argument) Student contended that the District should also have invited all of Student’s private providers of related services, including Student’s independent OT and speech-language providers, and Student’s psychoeducational assessor Robin Morris, to the meeting. As stated above, there is no legal requirement that the District do so. Student’s mother provided reports from those providers to the team, and the IEP team considered those reports. An OT, school psychologist and SLP attended one or both of the meetings on behalf of the District to explain the relevant assessments and reports, provide input on goals, and make recommendations to the team. The IEP team was well informed regarding Student’s present levels of performance, goals and proposed placement. There was no procedural violation. 39. When evaluating the substantive aspect of FAPE, courts have established that an IEP is considered a “snapshot in time.” In other words, the IEP offer is evaluated based on what a district knew at the time the offer was made. If the district’s IEP offer was reasonably calculated to provide the child with educational benefit based on the information available to the district at the time, and called for the LRE appropriate to meet the child’s needs, then the district offered the child a FAPE. In the instant case, Student and the District disagree about whether the District’s offer was reasonably calculated to provide Student with educational benefit as of July 14, 2008. 40. At the time of the July 14, 2008 meeting, the District had available to it the District’s multidisciplinary assessment dated May 25, 2007,6 as well as the various IEEs and progress reports provided by Student’s mother. The team also had older IEEs and progress reports from various NPA providers and the report cards for Student from Yucaipa Christian School. The IEP team reviewed and considered all progress reports and IEEs provided to the team by Student’s mother. 6 The District’s multidisciplinary assessment is described in Factual Findings 43 – 52 below. 7 The AT assessment will be discussed below in connection with the later IEP meeting where it was reviewed and discussed. 43. The law requires a district to assess a child at least once every three years. This three-year assessment is often called a “triennial assessment.” The District’s multidisciplinary assessment was a triennial assessment for Student. 44.Brett Smith, a school psychologist working for the District, conducted the psychological assessment of Student as part of the District’s multidisciplinary assessment. Loni Kuhn, an autism specialist with the SELPA, assisted with the assessment and conducted an observation of Student’s home ABA program. Ferguson conducted the speech-language portion of the assessment. Switzer, a program specialist and special education teacher, also participated in the assessment. Each of these individuals was qualified to conduct the tests and other assessments tools used during his or her part of the assessment. 45. The evidence supports a finding that the District’s assessment met the requirements of the education statutes and regulations. The tests and assessment materials used in the assessment were selected and administered so as not to be racially, culturally or sexually discriminatory. They were validated for the specific purpose for which the District assessors used them, and were administered in accordance with the test publishers’ instructions. The tests and other assessment materials included those tailored to assess specific areas of educational need for Student. No single procedure was used to determine Student’s eligibility for services or determine appropriate educational programming. 46. Although Student’s family speaks Spanish and English in his home, the evidence at hearing supported a finding that Student’s primary language is English. All of Student’s educational services by his private providers were conducted in English, including his ABA home services. Each of the District’s assessors properly administered the assessments and test instruments to Student in his primary language of English. 47. Because Student’s communicative and cognitive abilities are so impacted by his autism, it was very difficult for the District to administer standardized testing to Student. Smith attempted to administer the Wechsler Intelligence Scale for Children – Fourth Edition (WISC-IV) to Student to measure Student’s cognitive ability, but Student did not interact during the administration of the test, and Smith terminated the test. Smith also attempted to administer the Woodcock-Johnson Tests of Achievement – Third Edition (WJ-III) to Student to measure Student’s academic achievement, but once again Student’s levels of functioning were so impaired that it was not possible for Student to participate in the test. Switzer attempted to administer the Brigance Diagnostic Inventory of Basic Needs to Student, but was unable to obtain any recordable responses from Student, even when using prompts similar to those used in his home program. Therefore, to the extent that the assessors were unable to test Student with standardized test instruments, they relied upon review of Student’s prior assessments and records, interviews with and rating scales completed by Student’s parents, preschool teacher and aide, informal testing and assessment tools, and observation of Student. 8 The parents previously disputed a District OT assessment, but the validity of that assessment was addressed in OAH case number N2006100272, and is not at issue in the instant case. As stated above in Factual Finding 13, no OT assessment was done by the District as part of the 2007 multidisciplinary assessment because Student’s parents refused to consent to the OT assessment. 48. During the speech and language portion of the assessment, Ferguson attempted to assess Student’s speech and language abilities using the Expressive One-Word Picture Vocabulary test and the Receptive One-Word Picture Vocabulary test. Student was unable to understand and follow the test directions, so Ferguson was unable to score the two tests. Therefore, she based her assessment of Student’s speech and language needs on observation of Student, records review, discussions with his service providers, and a parent interview. Ferguson also conducted the Autism Diagnostic Observation Schedule (ADOS) with Student. 49. Kuhn administered the Psychoeducational Profile – Third Edition (PEP-3) to Student. The PEP-3 measures the strengths and weaknesses characterizing the autism spectrum disorder and related disabilities. Kuhn determined that Student had severe deficits in cognitive ability and communication and exhibited behaviors typical of autism. 50. The District’s assessment included input from Student’s parents, and the preschool teacher at the private preschool he attended. As part of the assessment, Student’s parents and teacher completed various rating scales and questionnaires related to Student’s skills and behavior. 51. As a result of the District’s assessment, the assessors determined that Student had “significant to severe delays in cognitive and speech/language development as well as social/emotional skills, motoric skills, and imitation skills.” They concluded that he met the eligibility criteria for autistic-like behaviors. 52. The evidence supports a finding that the District’s May 2007 assessment was properly conducted and sufficient to determine Student’s needs. The assessment met all the statutory requirements. The evidence also supports a finding that the District’s May 2007 assessment, taken together with the other assessments, NPA reports, IEEs and discussion at the meetings provided sufficient information for the IEP team at the May 29, 2008, and July 14, 2008 IEP meetings to determine proper present levels of performance for Student, to develop goals and objectives, and to determine Student’s placement and services. Did the District’s Offer of Placement and Services in the July 14, 2008 IEP Constitute a FAPE for Student? 54. The IEP contained a detailed plan for transitioning Student from his home program into the District’s SDC classroom. Under that plan, the services from LIFE would gradually decrease. From July 15 to August 28, Student would receive eight hours of ABA services a day from LIFE. When Student started school on August 18, a LIFE therapist would accompany Student to provide one-to-one support in class and then continue the home program for the hours that Student was not in school. As of September 2, the LIFE hours would drop down to 408 minutes a day. After that, the hours would gradually decrease every couple of weeks until November 12, 2008. Although the summary sheet on the second page of the IEP appears to have the home program end on November 12, the IEP notes and Wood’s testimony indicated that Student would continue a two hour per day (10 hours a week) home LIFE program in conjunction with the school program. This would give Student a total of 40 hours of instruction per week. 55. Vicki Wood teaches the District’s autism focus classroom that was proposed for Student. Wood has worked for the District for 12 years. She has a Bachelor’s Degree in psychology and a level one and two mild-moderate special education credential. Prior to the time she began teaching the autism focus classroom, she received training in ABA methodology, including an intensive, five-day training taught by Ron Leaf, the Director of Autism Partnership and an expert in the field of ABA. The five day class included both lecture and hands-on training. She also spent time observing an autism classroom using ABA methodology staffed by Autism Partnership. In addition to her ABA-specific training, Wood has received training in other methodologies used with autistic children, including multi-sensory teaching strategies and TEACCH. 56. In Student’s written closing argument, Student argued that Wood’s mildmoderate credential was not sufficient to permit her to teach the District’s autism focus classroom. Student relies on descriptions of the mild-moderate and moderate-severe teaching credentials on the California Commission on Teacher Credentialing website. Student contends that Wood’s mild-moderate credential does not permit her to teach an autism classroom, since autism is considered a “severe” disability. 57. However, the evidence supports a finding that Wood was properly credentialed to teach the District’s autism focus class. Wood herself testified that her credentials qualify her to teach the class. Christine Davidson, the District’s educational expert, who has experience as a special education coordinator and an assistant superintendent for Tustin Unified School District, concurred that Wood was appropriately credentialed. The District and the SELPA obviously considered Wood properly credentialed when they chose her to teach the class. She had been teaching the class for a full school year at the time of the July 14, 2008 IEP, and she has continued to teach it since that time. Student offered no testimony by a commission witness or any other expert that Wood was not properly credentialed. 58. The other individuals who work in Wood’s classroom are also well trained. Ferguson, who provides speech-language support in Wood’s class, also attended the Ron Leaf five-day training in ABA methodology. Wood’s classroom aides received a week of training from the District in 2007 before the class started and receive ongoing training through Michelle Dalton, an autism program specialist with the SELPA. One of the aides has a Bachelor’s Degree in Social Science and the other is currently working toward a liberal arts degree. The aides have also received training from Wood, Ferguson and Switzer. 59. In Student’s written closing argument, Student contended that the aides in Wood’s class were not appropriately trained, but the evidence does not support that contention. Instead, the evidence showed that they received considerable training from Wood, Switzer, Ferguson, Dalton, and others. Further, they worked at all times under Wood’s direction. There was no denial of FAPE due to any lack of training of the aides. 60. Wood’s class uses entirely research-based ABA methodology throughout the day with the children. The class runs for 30 hours per week, and each child’s curriculum is based on the individual child’s IEP goals. At the time of the July 14, 2008 IEP, Wood had two classroom aides and four children in the class.9 This ratio permitted both individualized and small group instruction. Wood has found that the small ratio of pupils to adults assists with their learning. However, in her two years of experience in teaching the class, Wood has discovered that when her pupils get too much individualized attention, it will sometimes trigger their problem behaviors. Therefore, when a child is absent and the ratio of adults to pupils is one-to-one, they still tend to work with the children in small groups for at least part of the day, rather than solely using one-to-one instruction all day long. 61. Data is continually collected throughout the day on each child’s IEP goals and targeted behaviors. Each child has a separate data notebook with charts and graphs based on the child’s data. Wood, her aides, and Ferguson have a staff meeting every Wednesday afternoon to discuss the data collected on the children in her class. Dalton sometimes participates in these sessions. Based on the data, if a child is making progress, they continue the child’s program. If not, they modify the program. Their decisions are driven by the data. 62. The daily classroom routine includes a combination of group and individual instruction, including time at work centers in which the children rotate between the different centers for individualized instruction. The class works on behavior skills and language skills all day long, and also works on self-help skills for the children. The class uses tokens, which are given to a child for correct responses and proper behavior as part of the ABA system. When a child’s token board is full, the child gets a preferred item or activity to reinforce the appropriate behavior. 63. Wood has instituted a program of using peer tutors to assist with the individualized instruction. These peer tutors are older children who come into the classroom and work with individual pupils at the work centers. Wood and the aides supervise these peer tutors as they work with the children. 64. The class also uses peer tutors on the playground to assist with modeling play behavior for the autistic children. These tutors are the same age as the autistic children. At first Wood scheduled the peers to come and play with the autistic children, but gradually the process has become more natural and the peers will seek out the autistic students for play. Dalton explained that they saw a huge increase in social skills among the autistic children after the peer tutors started working with them. 65. Wood values parental input in her class and believes that such input is necessary for the children to be successful. There is a weekly progress report, and Wood communicates with the parents by telephone and email. The class has a one-way mirror observation room with a microphone to allow parents to see and hear what is occurring in the class without disrupting the classroom activities. Sometimes a child’s attitude will change when the parent is present in the classroom, so the observation room allows a parent to get a true picture of what is happening in class. There is also a parent training once a month to allow the parents to ask questions, provide feedback and discuss issues. 66. Ferguson helped to set up Wood’s autism focus classroom and continues to support Wood in the classroom. Ferguson is in the class four days a week, providing one-toone speech-language instruction for the pupils. She also conducts whole group instruction on Wednesdays. She trained Wood’s classroom aides on how to use a picture communication system with the children who lack verbal skills. She attends the weekly meetings at which the data is reviewed and collaborates with Wood. 67. Dalton visits Wood’s classroom on a bi-monthly basis to collaborate with Wood. Wood also collaborates with the general education staff at the elementary school to make sure the children in her class are included as part of the school programs. For example, this year the autistic children in her class were able to take part in the school’s spring production. The children participated with their typical peers, and were able to follow their routine as they were supposed to do. Wood believes that participation with typical peers in such activities is an important part of her pupils’ program. 68. Wood’s class changed location from one elementary school to another during the summer of 2008, but there was no change to the program or classroom methodologies as a result. 69. The only criticism of Wood’s class during the hearing came from Student’s educational expert Robin Morris, Psy.D. Morris is a psychologist with an emphasis on child psychology and a marriage and family therapist. She has worked as a counselor since 1991 and a clinical psychologist in private practice since 2001. About 70 percent of her practice involves children with autism. Morris assessed Student at various times in 2007 and 2008. She first observed Wood’s class in approximately October 2007. At the time she was concerned about the level of training of the aides and because she saw negative reinforcement being used (Wood would take away tokens as well as give them to pupils). She also had concerns about whether ABA methodology was really used in the class. She later observed Wood’s class at the new school location and felt that it had improved. She saw ABA being used and no negative reinforcement. She thought the speech-language pathologist in the class would work very well with Student. Her only concern was with the peers who worked with the children in the one-to-one instruction during center time. Morris is currently undergoing training in ABA methodologies and believes that these peers would not have the training necessary to use that methodology effectively. There is no literature to support their use. However, she stated that as long as Student had a LIFE one-to-one aide with him, the peer tutors would not be a problem. 70. The evidence supports a finding that Wood’s autism class was an outstanding classroom with a highly individualized program designed to meet the needs of each child who participates in the class. The District’s educational expert Christine Davidson had high praise for the class. The peer tutors work under the supervision of the teacher and aides, so there is no problem with using them, despite Morris’ concerns. Although Student’s mother wishes Student to remain in his 40 hour per week home program, there was no serious dispute among the experts who testified at the hearing that Wood’s class would be an appropriate placement for Student. The two main areas of contention between the experts involved the amount of time Student should spend in the class as opposed to his home program and the way that Student should be transitioned into the school program. 9 The class still had four students and three adults (Wood and two aides) at the time of the hearing. At one time, she had five pupils in her class. Was a Full Time Placement in Wood’s Autism Focus SDC Without a LIFE Aide the LRE Appropriate to Meet Student’s Needs? 71. The District witnesses were unanimous in their testimony that the District’s proposed July 14, 2008 IEP offered Student a FAPE. Based on the information Wood learned in connection with the IEP meetings and her knowledge of her classroom, Wood believes Student would be very successful in her classroom. In her experience, she has seen success from pupils in her class who were at Student’s level when they started. 72. Wood has never met Student and has never assessed Student. In approximately December 2008, Wood attempted to visit Student’s home for a meeting with the LIFE providers. During that meeting, Wood planned to meet Student, see his level of performance and get to know him. Wood and Ferguson drove to Student’s home only to learn that Student’s mother had cancelled the meeting, stating that Student had other meetings to attend. The LIFE providers apologized to the two District employees and explained that they learned the meeting would be cancelled only minutes before the two District employees arrived. Student’s mother and the District staff were unable to coordinate another date for a meeting. 73. However, the mere fact that Wood never met Student does not weaken her opinion in this case. The evidence showed that Wood attended the triennial assessment review IEP meeting for Student in 2007, both the May 2008 and July 2008 IEPs for Student, and the three follow-up meetings in fall 2008. She had ample knowledge of Student’s needs and weaknesses to determine whether he would succeed in her classroom. 74. Ferguson also believes that the District’s July 2008 IEP offered Student a FAPE. Ferguson assessed Student as part of the District’s multidisciplinary assessment in May 2007. She has a Master’s Degree in Communicative Disorders and holds a clinical rehabilitative services credential. She has attended hundreds of IEPs and assessed hundreds of children, including children on the autism spectrum. Based on her knowledge of Student and of Wood’s classroom, she believed that the July 14, 2008 IEP offer adequately addressed Student’s needs. 75. Dalton also testified that Student should be in Wood’s classroom. Dalton has a Master’s Degree in special education and a moderate to severe special education credential. She is a Board Certified Behavior Analyst and is very familiar with behavioral issues of and teaching methodologies for children with autism. She provides training to teachers, including ABA training. She regularly attended the clinic meetings held by the NPA therapists in Student’s home. Dalton is frequently in Wood’s classroom and is very familiar with the class. Dalton explained that Student has the necessary foundational skills to enable him to gain benefit from the class. 76. The District’s educational expert Davidson also agreed that the District’s offer was appropriate. In connection with her review of the case, Davidson attempted to meet with Student but was never given that opportunity by his parents. Therefore she based her opinion on the assessment reports, IEP documents, provider reports and other documents she reviewed regarding Student. She believes the classroom would be appropriate for Student. 77. The two witnesses from LIFE who testified at the hearing – Nicole Murillo, Assistant Clinical Director, and Dolores Grajeda, case supervisor – both agreed that Student should be placed in a school setting for at least part of his educational day. Their testimony concurred with the LIFE progress reports that consistently recommended a 15 hour per week school placement for Student in a small classroom with characteristics that matched those of Wood’s class. Murillo felt that Student would make progress without the LIFE home program as long as he was in some type of ABA program. Grajeda observed Wood’s classroom and believes it was the type of class LIFE recommended for Student. She believes he is capable of skill acquisition in a school environment. The LIFE progress reports also recommended that Student’s time in the school setting should eventually increase, depending on his progress, until he was at school full time. 78. The only expert who expressed concerns about Student participating in a school program was Morris. Morris was very concerned about Student’s aggressive behavior and how that might interfere with his ability to learn and make progress. After LIFE took over as Student’s home provider in July 2008, Student exhibited an increase in aggressive behaviors, including biting, hitting, banging his head, body dropping and similar behavior. During the hearing, Murillo testified that there has been improvement in his behavior, but he still exhibits aggression. 79. Morris testified that she does not want to see Student in a classroom setting until the NPA therapists have defined the antecedents to those aggressive behaviors. If the data showed his aggression was decreasing, she would still want to confer with his mother before placing him in Wood’s class. If his aggression had decreased, she would want to start him in a school program for one hour per day, three days a week, with a full-time LIFE oneto-one aide, and have him build slowly to 15 hours a week. However, without data, she was unable to comment on whether he is currently ready for any classroom placement. In her opinion, at the time of the July 14, 2008 IEP, it would have been too difficult for him to transition both to LIFE and to the District classroom at the same time. 80. Morris also thinks it is very important for Student to keep his home LIFE program even if he attends school, because he is learning more in the intense home program than he would learn in the more general classroom. She would not want him to attend school any longer than 15 hours a week at most and continue with a 25 hour per week home ABA program. She also wants Student to have a one-to-one aide from the LIFE home program with him in class. 81. Morris’ testimony is not persuasive on this issue for two reasons. First, the aggressive behaviors that weighed so heavily in Morris’ opinion apparently did not begin to escalate until after the July 14, 2008 IEP meeting. Prior to that time Student attended Yucaipa Christian School with no reported behavioral problems. Even if Morris is correct that Student’s behaviors after July 2008 would keep him out of a class, the IEP team did not have that information at the time of the July 14, 2008 IEP because the behaviors had not yet begun. It does not have any bearing on the District’s July 14 offer. 82. Second, even if the behaviors had started prior to the July 14 IEP meeting and even if the District had notice of them, those behaviors are not sufficient to keep Student out of the class. Behavioral problems are one of the things the children work on in Wood’s class. That would not be a reason to exclude Student from participating with his peers in a school environment. Even the LIFE therapists who worked with Student and noted his problem behaviors did not believe those behaviors would keep him out of school. LIFE consistently recommended a 15 hour per week school program for Student despite the behavior problems. 83. The evidence also supports a finding that Student should attend the District’s SDC class for a full day, rather than only the 15 hours per week that Morris wanted him to build up to, and that he should ultimately attend the program without a one-to-one aide from LIFE. The evidence at hearing showed that Wood’s classroom has less than a two-to-one ratio of children to adults and uses ABA methodology throughout the day. Once Student makes the transition to the classroom (which will be discussed below) there will be no need for a full time, one-to-one aide from LIFE. The teacher, classroom aides and speechlanguage pathologist are fully trained and capable of handling his needs. 84. Likewise, there is no need to continue an intensive, 25-hour a week home program. Wood’s class uses ABA methodology just as Student’s home program does. The small student to adult ratio allows one-to-one or two-to-one instruction. Morris is not a classroom teacher and does not have Wood’s first hand experience with watching autistic children make progress in the class, so Morris’ opinion is less persuasive than Wood’s in this regard. But even if Morris is correct that Student might gain more benefit in a home program, a district is required to provide a floor of educational opportunity for a child, not to maximize a special needs child’s education. 85. The evidence supports a finding that the District’s autism focus classroom would allow Student to gain meaningful educational benefit. To the extent that Student needs any home ABA, the 10-hour a week home ABA services called for in the IEP would be sufficient. 86. The evidence also supports a finding that Wood’s SDC was the LRE for Student. No expert suggested that Student will gain academic benefit in a general education environment. He is far behind his typical peers and needs the structure of an SDC. On the other hand, there will be significant non-academic benefits for Student in attending Wood’s program as opposed to the home program he currently has. In Wood’s class he will have access to typical peers every day. The peer tutor program will provide direct contact with peers in the classroom and on the playground. Wood and Dalton were very persuasive in their testimony as to the social progress made by the autistic children in the class. Because of the structure of Wood’s class, there will be no disruption to the class from Student’s presence or his behavior. The class is designed to address the needs of autistic children, including any problem behaviors they may exhibit. Was the Transition Plan in the July 14, 2008 IEP Offer Sufficient to Meet Student’s Needs? 87. The chief dispute among the experts involves the plan to transition Student gradually from his home program to the District’s SDC class. During the hearing the District witnesses, including Wood and Ferguson, explained that the transition plan was based on the BEST reports and other data at the IEP meeting showing Student’s rate of progress in acquiring new skills. Student was acquiring new skills about every three to four weeks, so they developed a plan to gradually transition him away from his one-to-one LIFE aide. 88. Wood believes the transition plan was appropriate both based on the data and on her own experience with transitioning children into her classroom. The gradual lessening of the one-to-one LIFE aide time was done over a ten-week period, almost a full school trimester. Wood believed this was an appropriate length of time. She explained that, if there are problems with a child’s transition, the plan can always be modified. She believes the transition plan was appropriate. 89. Ferguson concurred that the transition plan was appropriate. She has been involved in transition plans for pupils before, and in her experience, the proposed transition plan for Student was appropriate. She agreed with Wood that transition plans are not set in stone, and that they can be changed, depending on a child’s needs, once the child starts the transition process. It is very common to modify such plans as the data is gathered to show how a child is functioning in school. The other District witnesses also concurred that the plan was appropriate and that it could be modified if Student was not ready to move on. 90. The home providers from LIFE agreed that some type of transition period was appropriate, but they preferred not to have a set schedule. They wanted to wait until the data showed that Student was ready for the next step before the IEP team discussed increasing his school hours. Murillo explained that any fading of Student’s one-to-one aide from LIFE should be done based on data collected in the classroom. She has never recommended fading an aide without data to support it. She did not see anything in the BEST reports to indicate how school hours should be increased or home hours decreased. 91. Student’s expert Morris agreed that any transition should be slow and based on data. She does not believe that Student’s one-to-one LIFE aide should be faded until there was data to support it. She is concerned that the increased aggression that Student exhibited after July 14, 2008, may have been the result of the abrupt transition of his home program provider from BEST to LIFE. 92. 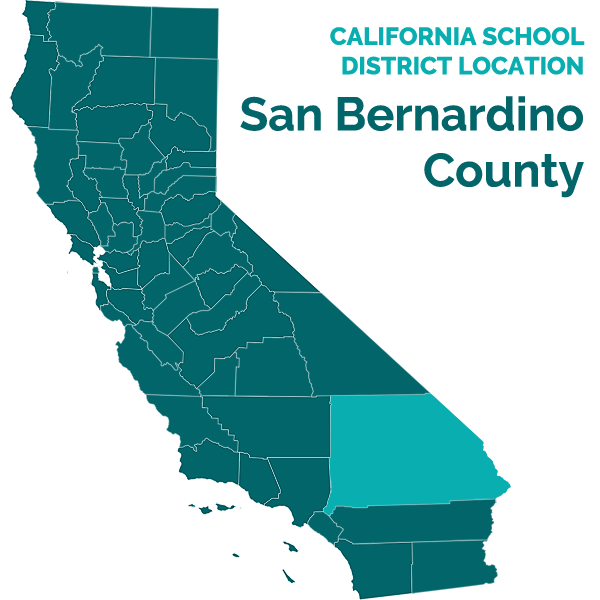 The evidence at hearing was inconclusive as to whether Student’s increased aggression was the result of the transition from BEST and his Yucaipa Christian School placement to his solely home program with LIFE. For example, the LIFE quarterly report for the time period of July 2008 through September 2008 indicated that the aggressive behavior might have been a side effect of prescription medication Student was taking. There was evidence suggesting that aggressive behaviors continued for months after the initial transition period and some aggression may have existed before that transition. 93. However, even if the increased aggression was a direct result of the change from the Yucaipa Christian Preschool/BEST program to a solely home program under LIFE, it does not mean the District’s transition plan will be ineffective. The change between BEST and LIFE occurred abruptly, with no gradual transition. The District’s proposal, on the other hand, was set to occur over a 10 week period. The District would have had ample time to gather data to see if the transition was successful. If Student’s aggression increased or if he started to regress after he began the transition to the District program, the program could be modified. 94. The evidence supports a finding that the District’s transition plan proposed in the July 14, 2008 IEP was appropriate to meet Student’s needs. It was very gradual and detailed, and was reasonably calculated to provide educational benefit based on what the IEP team knew about Student’s needs at the time. Did the July 14, 2008 IEP Offer Appropriate Speech-Language and OT Services to Meet Student’s Needs? 95. Student next contends that the District failed to offer appropriate services in the area of speech-language and OT. A district is required to provide DIS services, also known as related services, including speech-language and OT services, as may be required to assist a child to benefit from special education. There is no dispute that Student required speech-language and OT services at the time of the July 2008 IEP. The only dispute is over the amount of services the District offered. 96. As stated above in Factual Finding 53, the IEP called for Student to receive 20 minutes of one-to-one speech-language therapy, three times a week, with a 15 minute consultation once a week. Those services would be provided by Ferguson in Wood’s classroom. Ferguson explained that this recommendation was based in part on the provider reports which explained that Student had difficulty sitting and attending to a task for more than 10 minutes at a time. She also explained that, in addition to those three sessions, Student would receive speech-language related instruction throughout his day in Wood’s class and would participate in the whole group speech-language instruction on Wednesdays. Language is incorporated into all aspects of Wood’s class. Ferguson believed that the District’s offer of SLP services in the July 14, 2008 IEP was appropriate for Student and sufficient to meet his needs. 97. The recommendations made by Student’s speech-language expert Givona Sandiford are consistent with Ferguson’s recommendation and the District’s IEP offer. Sandiford first evaluated Student in February 2008 at his parents’ request. At that time she recommended speech-language therapy twice a week for 30 minutes a session. Usually she sees a client once a week for an hour, but because Student did better with shorter intervals she broke it down to twice a week. She explained that because of Student’s problems with over stimulation, she believed 30 minute sessions would be better. As of May 29, 2008, she was still recommending two 30 minute sessions a week for him. At some point later she increased his services to 45 minute sessions, three times a week, but there was no evidence that the District received any report regarding that increased time at any point relevant to the IEP offers at issue in this case. 98. At the time of the July 2008 IEP meeting, the District had a copy of Sandiford’s May 2008 report. Both Ferguson and Sandiford recommended an hour a week of one-to-one speech-language therapy for Student. Sandiford broke it into two 30-minute sessions and the District broke it into three 20-minute sessions, but based on the data indicating that Student did better with shorter intervals, both of these determinations were reasonable. The evidence supports a finding that the District’s offer of speech-language services in the July 14, 2008 IEP was appropriate. 99. As stated above in Factual Finding 53, the District offered one-to-one OT for 30 minutes once a week, and 30 minutes of OT consultation per week. Ravanzo believed that the District’s offer was appropriate to meet Student’s needs. 100. Student’s OT expert Anne Fleck testified that she believes Student needs two one-to-one sessions of OT for 45 minutes in a clinic setting each week. She did not think that one 30 minute session per week would be sufficient. She felt he needed 45 minute sessions because he required so many sensory breaks. He could only work for about 10 minutes and then required a 10 minute break. 101. Ravanzo disagreed with Fleck’s recommendation for services. Ravanzo explained that Fleck made her recommendations based on the understanding that Student would receive OT services in a clinic, not a classroom. In Wood’s classroom, the teacher and OT would collaborate so that OT time could be incorporated into all of Student’s activities throughout the day. 102. Although both Fleck and Ravanzo are qualified to discuss Student’s OT needs, Ravanzo’s opinion is more persuasive in this case. Fleck’s recommendation was addressed to a clinic setting, where she would be providing Student’s sole OT support. However, if Student was in the District’s autism focus classroom, he would have constant support. When the OT was not working with him directly, the OT could instruct the classroom aides on how to assist him during the weekly OT consultation. The evidence supports a finding that the District’s offer of OT services was sufficient to meet Student’s needs. 103. In Student’s written closing argument, Student raised concerns about the goals and proposal for ESY contained in the July 14, 2008 IEP. Because the District filed the action to defend the IEP and has the burden to prove that it was appropriate both procedurally and substantively, those concerns will be addressed briefly here. 104. Student’s written closing argument states that the District’s proposed goals and objectives were “vague and unmeasurable and those Goals/Objectives did not match [Student’s] then current levels of functioning.” Student cites to absolutely no evidence or argument to support that statement. Metheny, who attended the July 14, 2008 IEP meeting, testified in detail regarding the information the IEP team used to derive the base line for each goal and how each goal was developed. The goals were written and discussed during the meeting, with input from all the team members including the parents. 105. Student presented no expert who testified that any of the goals were vague or incapable of being measured. Morris had a concern about the goal that called for Student to use pictures for communication because he now uses a Dynavox augmentative speech device. However, at the time of the July 2008 IEP, he did not have a Dynavox and was using pictures to communicate so that goal was appropriate. Morris also was concerned about the lack of a behavioral goal. However, at the time of the July 2008 IEP, the District had no information to indicate that such a goal was necessary. 106. Student’s written closing argument also objected to the ESY services offered in the IEP, because the IEP “never delineated what that service would be.” Wood’s testimony during the hearing indicated that the ESY classroom was very similar to the regular school year classroom, except that the day was shorter and it ran for four days a week. There was no need for a separate description of ESY. It was sufficient for the IEP to note that ESY would be provided. 107. The evidence supports a finding that Wood’s autism focus class was the LRE appropriate for Student in which he could gain meaningful educational benefit. The District’s July 14, 2008 proposal offered Student a FAPE as of the time it was made. The District met its burden of proving that it offered Student a FAPE. 108. For all the same reasons noted above in the preceding paragraph, Student did not meet his burden of showing that the July 14, 2008 IEP failed to offer him a FAPE as alleged in Student’s first and second issues listed on page two of this Decision. Contrary to Student’s contentions, the July 14, 2008 IEP contained an appropriate transition plan, appropriate time frames and home provider support for the transition, a classroom setting with appropriate structure for Student to learn new skills, personnel trained in ABA methodology, and an appropriate ABA home component in addition to the ABA classroom. 110. The purpose of the October 3, 2008 meeting was to review and discuss the adaptive physical education (APE) and AT assessments conducted by the District. Student does not raise any issues with respect to the APE assessment, but contends that the AT assessment was not proper. (The appropriateness of the AT assessment is discussed below.) The November 7, 2008 meeting was called to review Student’s progress based on the LIFE progress report. The December 15, 2008 meeting was called to discuss the fact that Student had not been attending the Yucaipa Christian School (or any school) since the start of the school year. 10 During the hearing, Student attempted to raise a new issue regarding whether the District properly noticed one or more of these meetings. This issue was not alleged in Student’s due process request and was not permitted to be raised for the first time during the hearing. In Student’s written closing argument, Student attempted to raise the issue again. Student’s attempt to do so is improper, and the issue will not be addressed in this Decision. Student’s due process request only challenged the substantive offer of FAPE made at these IEP meetings, so no procedural issues with respect to those IEP meetings will be addressed in this Decision. 111. At each of the three follow-up IEP meetings, the District made the same offer of FAPE for Student as it had made in July 2008. Student contends that the District failed to offer a FAPE in the November IEP because it failed to change Student’s present levels of performance based on the regression noted in the LIFE report and failed to address his aggressive behaviors. 112. The LIFE report presented at the November IEP meeting discussed Student’s aggressive behaviors but noted they had been declining since July 2008. Based on the testimony of the various witnesses at hearing, it appeared that any regression could have been a result of the transition from BEST to LIFE. Without a reassessment, there would have been no basis to change Student’s present levels of performance in either respect. As stated above in Factual Finding 82, the District’s offer of placement and services was appropriate even if Student exhibited aggression. 113. Student presented no evidence to indicate that Student’s needs had changed sufficiently to require a change to the District’s IEP offer after July 14, 2008. That offer constituted a FAPE on July 14, 2008, and was still a FAPE through December 2008. Student had the burden to show that the District failed to offer a FAPE in the October, November and December follow-up IEPs. Student failed to meet that burden. Was the AT Assessment Appropriate? 114. Student’s final issue involved the AT assessment that was reviewed at the October 3, 2008 IEP meeting. Lawrence Silcock performed the AT assessment on behalf of the District. Silcock is an occupational therapist in private practice. He has been working in the field of assistive technology for over 20 years and does contract work for the SELPA, providing assessments and training related to assistive technology. He has conducted hundreds of assessments and attended many IEP meetings. He also attends assistive technology conferences and is in constant contact with the device manufacturers. He has attended trainings related specifically to augmentative communication devices, including the Dynavox. 115. As part of his assessment, Silcock visited Student’s home twice in September 2008. Ferguson attended one of these sessions and answered some questions Silcock had pertaining to pictures. Silcock tested Student on several different types of augmentative communication devices. These devices are designed to produce words when the child pushes a button. Silcock determined that Student had sufficient fine motor skills to use an augmentative communication device. The question was which device would be appropriate. 116. Student’s mother asked Silcock about a text-to-speech device, but Student was just learning to type three letter words on a computer with big keys at the time of the assessment, so Silccock did not believe that would be appropriate. In such a device, a child must be able to type words. Instead, he felt that a machine with preprogrammed messages that could be accessed with the touch of a button would be better. 117. Silcock tested Student on two different types of communication devices. The first had a “static” display in which the pictures associated with the buttons were on a hard copy overlay on the device. The overlay cards slid into a slot on the device and the cards could be changed manually by an adult at different times of the day when Student would need other choices of messages. 118. Silcock also tested Student on a Dynavox, a more complex device involving a dynamic display. Rather than having an overlay card of pictures, the Dynavox has picture categories on the screen and requires the user to sort through various levels of picture categories to find the words to choose. For example, if the child wanted a snack, he might have to sort through categories such as “I am hungry” or “I want food” and continue through other levels of categories to find the correct snack item. Based on Student’s skill set at the time, Silcock felt that such a system would be too complicated for Student. Because Student did not have the ability to sort items by category, Silcock felt a simpler system would be better to meet Student’s needs than a Dynavox. While Student was able to navigate the Dynavox to find a snack he wanted during the assessment, Silcock felt that Student memorized the path to the desired item rather than understanding and choosing between the categories at the different levels. 119. Silcock ultimately recommended a “L*E*O” brand communication device (LEO), which was similar to the static devices that he had tested with Student. The LEO could be programmed to use from 1 to 32 buttons, so Student could continue to use it as he gained more language. There are about 20 different overlays that can be used with it, so it can have as many as 20 times 32 different preprogrammed messages within it. 120. Student took issue with the District’s assessment on the basis that Silcock, as an OT, would not be qualified to assess a device to assist with Student’s communication needs. Student argued that Silcock could assess whether Student could physically manipulate the device, but nothing more. 121. However, the evidence supports a finding that Silcock was qualified to perform the assessment. Silcock was far more than just an OT. He had 20 years of experience of working with assistive technology in various forms. He had conducted numerous assessments and attended IEP meetings. Further, Ferguson attended the first day of the assessment, so she would have been able to answer any speech-language specific questions. The evidence supports a finding that Silcock’s assessment was properly conducted and that Silcock was qualified to perform the assessment. 122. Student’s mother also testified that it took Silcock a while to get the various devices up and running during his assessment, so he told her that he needed a third day of the assessment (which never happened). Even if that is correct, it does not invalidate his assessment or show that he was unqualified to conduct the assessment. He had sufficient information to make his recommendation. Are Student’s Parents Entitled to Reimbursement for IEEs in the Areas of Psychoeducation, Education Related Neurology, Speech-Language, and OT? 124. During the hearing, Student’s counsel clarified that Student was seeking reimbursement for IEEs conducted by Morris in January 2007, October 2007, and January 2009, IEEs conducted by Sandiford in February 2008, May 2008, and October 2008, a report by Margaret Bauman dated January 12, 2009, and two OT reports prepared by Inland Children’s Therapy dated June 9, 2008 and January 22, 2009. As discussed above in Factual Findings 43 – 52 and 114 – 123, Student failed to meet his burden to show that the District’s assessments were inappropriate or that Student’s parents were otherwise entitled to any IEEs. There is no basis for reimbursement for any of those IEEs. Did Student’s Parents Provide Student With an Appropriate Placement in the Area of Speech-Language and OT for the 2008 – 2009 school year and ESY 2009? 125. Because there was no denial of FAPE by the District, it is not necessary to determine if Student’s private providers were appropriate. Therefore, no findings are made on this issue. 1. A party requesting relief has the burden of proof in a special education due process proceeding. (Schaffer v. Weast (2005) 546 U.S. 49 [126 S.Ct. 528].) In the instant matter, each party has the burden as to its own claims in the consolidated cases. 11 Of course, now that Student owns and is using a Dynavox, the District should take that into consideration in future IEP meetings. The District Did Not Commit a Procedural Violation by Failing to Allow Parental Participation in the Development of Goals or Determination of Placement and Did Not Predetermine the Placement. 6. As discussed in Factual Findings 8 – 30 above, the evidence did not support a finding that the District predetermined Student’s placement or denied the parents involvement in the IEP process. Instead the evidence showed that the District went to great lengths to involve the parents at every step of the process and came to the meeting willing to discuss different possible placements. There was no procedural violation. The District Did Not Commit a Procedural Violation of IDEA by Failing to Have the Necessary People at the July 2008 IEP Meeting. 8. As discussed above in Factual Findings 31 – 38, the District had all the individuals required by federal and state law at the meeting. There was no requirement that Student’s independent experts or NPA providers attend the meeting. There was also no requirement that Ravanzo appear in person at the July meeting rather than by telephone. Ravanzo was available to interpret assessment results, to give guidance on OT goals and to discuss the OT offer of services. Nothing more was required. There was no denial of FAPE. The District’s Proposed July 14, 2008 IEP Offered Student a FAPE in the LRE. 14. As discussed above in Factual Findings 39 – 108, the evidence supports a finding that the District’s proposed July 14, 2008 IEP offered Student a FAPE. None of the experts seriously disputed that Wood’s SDC class was appropriate for Student or that it was Student’s LRE. Although Student’s expert felt that Student’s behaviors would be a problem, there was no evidence that the District knew about those behaviors at the time of the July meeting and no evidence that those behaviors would have prevented Student from making progress in the SDC class even if the District had known. Student’s home ABA provider continued to recommend a school placement for Student despite the behaviors. 16. The evidence also supports a finding that the District’s proposed plan to transition Student from his home program to the school SDC was appropriate. An IEP is required to include a provision for the transition of a child into the regular class program if the child has been attending a special class or nonpublic school, including a description of activities provided to integrate the pupil into the public school class and to support the transition. (Ed. Code, § 56345, subd. (b)(4).) As set forth in Factual Findings 87 – 94, the District’s proposed transition plan was very detailed and was reasonably calculated to ensure Student’s success in Wood’s classroom. 17. The law requires an IEP to include DIS services such as speech-language and OT services, “as may be required to assist an individual with exceptional needs to benefit from special education.” (Ed. Code, § 56363, subd. (a); 20 U.S.C. § 1401(26).) As set forth in Factual Findings 95 – 102 above, the speech-language and OT services proposed in the July 14, 2008 IEP were sufficient to enable Student to benefit from his special education. 18. The law also requires an IEP to contain a statement regarding a child’s “present levels of academic achievement and functional performance” and a “statement of measurable annual goals, including academic and functional goals” designed to meet the child’s educational needs. (Ed. Code, § 56345, subds. (a)(1), (3).) As discussed in Factual Findings 103 – 105 above, the IEP team at the May 2008 and July 14, 2008 meetings properly developed present levels and goals for Student. If a child requires ESY services to prevent academic regression during the summer, an IEP is also required to include that. (Ed. Code, § 56345, subd. (b)(3).) As set forth in Factual Finding 106, Student’s IEP properly called for ESY services. 19. The District met its burden of proving that the District’s proposed July 14, 2008 IEP offered Student a FAPE in the LRE. Did the District offer Student a FAPE for the 2008 – 2009 school year and ESY 2009 in the IEPs dated July 14, 2008, October 2008, November 2008, and December 2008? 20. As set forth in Factual Findings 8 – 123, Student failed to meet his burden of proving that the District’s July 14, 2008 IEP and the follow-up IEPs denied him a FAPE. Did the District Deny Student a FAPE by Failing to Offer an Appropriate Combination of Home Services and Classroom Services for the 2008 – 2009 School Year and ESY 2009? 21. As set forth in Factual Findings 8 – 123, the District’s IEP offer included an appropriate transition plan for movement from home to school, appropriate time frames and home provider transition support for transition; a classroom setting with appropriate structure for Student to learn new skills, personnel trained in ABA, and an appropriate home component. There was no denial of FAPE. Are Student’s Parents Entitled to Reimbursement for IEEs in the Areas of Psychoeducation, Education Related Neurology, Speech-Language and OT? 12 The federal law uses the term “evaluation” and California uses the term “assessment,” but the two terms are synonymous for purposes of this case, so they will be used interchangeably. 26. As discussed in Factual Findings 41 – 52 above, the District’s multidisciplinary assessment met all the statutory requirements and assessed Student in all areas of need. As set forth in Factual Findings 114 – 123, the District’s AT assessment was also appropriate and sufficient to determine Student’s needs in that area. Student’s parents never requested an IEE from the District with respect to either of these assessments. The District is not required to pay for any IEEs obtained by the parents. 27. When a district has denied a FAPE, a court is given broad discretion in fashioning a remedy, as long as the relief is appropriate in light of the purpose of special education law. (School Committee of the Town of Burlington, Massachusetts v. Department of Education (1985) 471 U.S. 359, 369 [105 S.Ct. 1996].) However, in the instant case, there was no denial of FAPE, so it is unnecessary to examine the Student’s private placement to see if it was appropriate. The District’s July 14, 2008 IEP offered Student a free appropriate public education in the least restrictive environment. All of Student’s claims for relief are denied. Pursuant to Education Code section 56507, subdivision (d), the hearing decision must indicate the extent to which each party has prevailed on each issue heard and decided. In accordance with that section the following finding is made: The District prevailed on all issues heard and decided in this case.